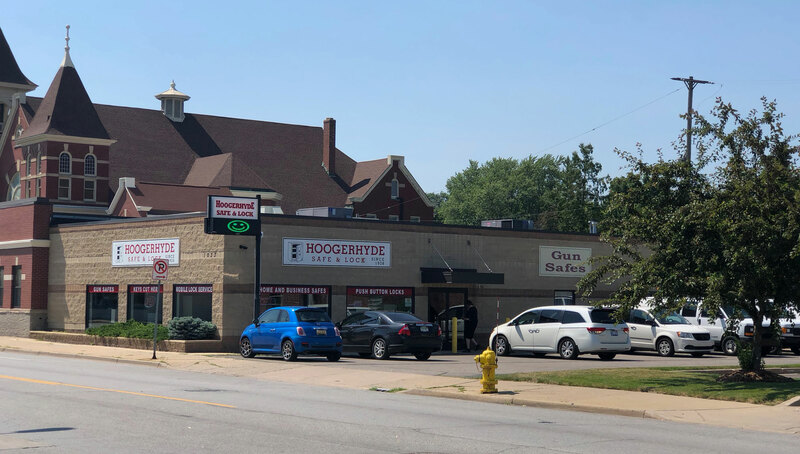 Fred Hoogerhyde opened his business in 1926, taking over a blacksmith shop at 1033 Leonard Street NW in Grand Rapids, Michigan. 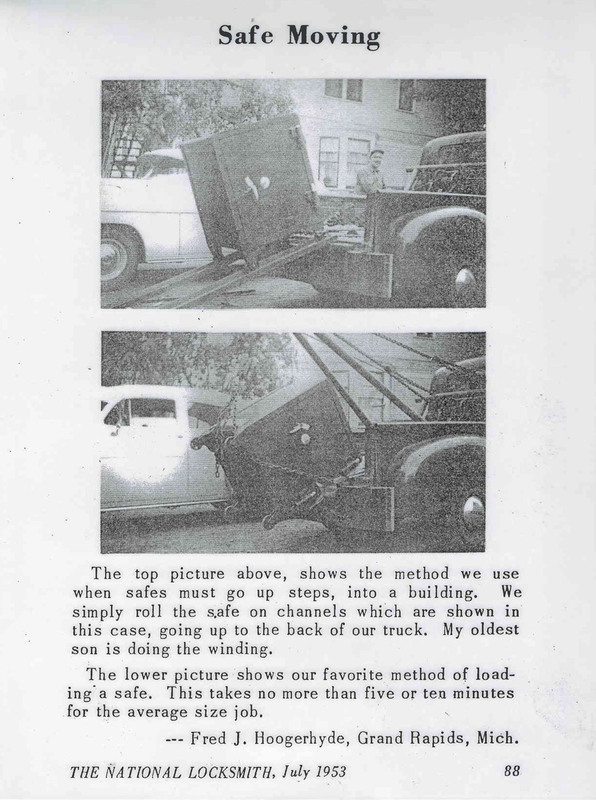 Initially the company did mostly automotive mechanic and body work, but they gradually took on safe work and locksmithing. Eventually the car work was dropped completely, except for working on car locks. The original building was enlarged several times over the decades, but a new facility was built on the same site in 2005. We’ve been at the same location for over 90 years! The new building has a big showroom which allows us to stock over two hundred safes of every description. Our inventory includes new and used residential fire safes, burglary safes, burglary/fire safes, gun safes, doors for walk-in vault rooms, commercial money chests, cash handling safes, very high security safes, media safes and fire proof file cabinets. We work with all kinds of safe locks — key, combination, electronic push button, and even biometric fingerprint reading locks. We also have some great classic antique safes. We buy used safes and move safes, too. We have the area’s best safe technicians on staff, so we can service what we sell. Since most other places don’t have technicians and can’t service what they sell, we work on all brands. Hoogerhyde Safe & Lock is also a full service locksmith company, offering both mobile and walk-in service. We work on commercial, school, church, residential and automotive security. Besides “regular” entry locks we provide high security keys systems, keyless entry systems, school lock-down systems, plus most automotive transponder keys. We make hundreds of keys every week for our walk-in customers, quickly and accurately. We have most of the hard to find keys in stock, as well as skeleton keys and keys for antique furniture. You may have too many keys to keep straight so we stock all kinds of key organizing products and key accessories to make life a little easier.